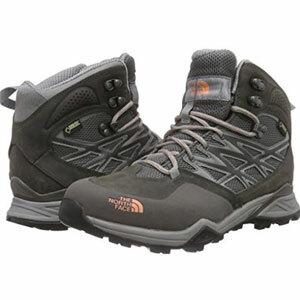 Are The NORTH FACE Hedgehog Fastpack Hiking Boots Too Sneaker Like? The NORTH FACE Hedgehog Fastpack Hiking Boots offer something a little different from your more traditional walking boot. This isn’t quite as rugged and heavy as some boot, but that can be appealing to those that aren’t avid mountaineers. North Face is known as a reliable brand for outdoor wear – even if some feel they are leaning closer to becoming a fashion brand. So, is this fun shoe more of a fashion item than a practical hiking shoe? Are The The North Face Hedgehog Goretex Hiking Shoes Tough Enough To Meet Expectations? 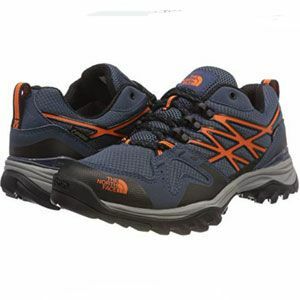 The North Face is a company that many hikers turn to for their equipment needs because they are seen as an industry leader, which is why these The North Face Hedgehog Goretex Hiking Shoes are so appealing. This attractive walking boot which is available in grey and purple. It has a kitten heel, lace-up design, Gore-Tex breathable membrane, durable leather overlays and tough gum rubber sole. The company promise “all-condition traction and stability on whatever terrain you choose to hike”. Is this really the case?